The modernized twist to the traditional saree by Indian couturiers resulted in the creation of this fabulous fusion ethnic wear called the saree gown. Wearing a saree gown is like wearing the traditional nine yards of sheer bliss in a comfortable gown like silhouette. 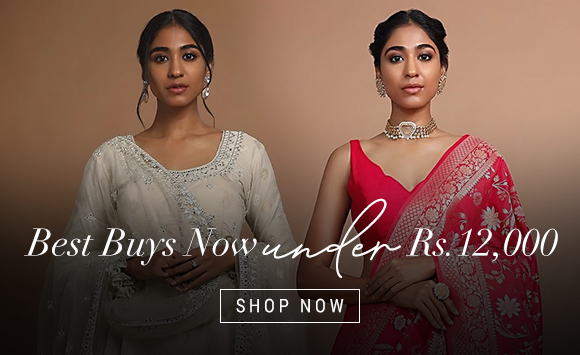 Not only are these gown styled Saree dresses easy to wear as compared to the traditional saree, but also they are a breeze to walk around in or even dance in when you’re at a wedding party. Saree Gown styles can be as simple as a satin wrapped dress or it can be intricately embroidered one with sequins and other such craftwork. Draped saree gowns look chic and trendy while retaining the ethnicity of the Indian dress. At this exclusive Saree gown category at kalkifashion.com, we have the choicest collection of designer saree gowns, and saree style gown replicas in many colors and styles. 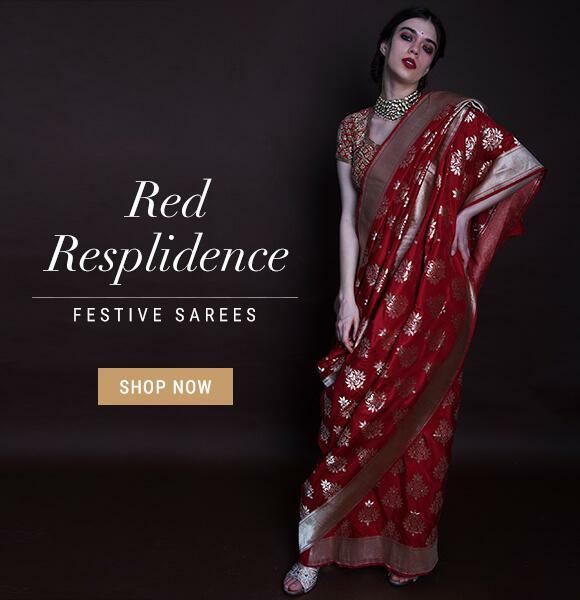 From sheer pastels to vivid hues of red and orange or classy blacks, we have everything covered so that your saree gown shopping online experience is rich and enticing. Buy the trendiest and latest styles of draped saree gown online at the best prices and choose to get your dress shipped to anywhere on the globe at no extra shipping charges.